Apple may as well run Cupertino. It was widely reported in January that Apple was in talks to buy Waze, an Israeli startup with a hugely popular maps app. Waze was rumored to be asking Apple for $750 million. The same outlet that broke the acquisition rumor quickly backpedaled and said no such deal was taking place. Google ended up buying Waze in June for $1 billion. And so goes the buyout game in Silicon Valley, a power play where tech giants like Apple and Google court hot startups with the hopes of adding them to their war chests. Apple had its biggest year ever for acquisitions in 2013, with a record 15 smaller companies joining the fold. A dozen of them have now been publicly disclosed. For an entity as secretive as Apple, examining the companies it buys is one of the only ways to peek into its future plans. When AuthenTec, a company that specialized in fingerprint readers and identification software, was purchased in July 2012, speculation immediately followed. What did Apple want with fingerprint sensors? The answer ended up being obvious, and the technology debuted in Touch ID in September 2013. Often the outcome of an Apple acquisition isn’t so immediately apparent. Historically, Apple acquires far fewer companies than its competitors. But the line is starting to blur. Google publicly bought three times as many companies as Apple in 2012 and not even twice as many in 2013. Apple bought more companies than Microsoft in 2013. So what does all of this say about Apple’s future? At the Goldman Sachs Technology and Internet Conference in February 2013, Apple CEO Tim Cook gave rare insight into why Apple buys other companies “from time to time,” as the company’s PR department puts it every time an acquisition is reported. Of the 10 publicly listed Apple acquisitions in 2013, five relate directly to mapping and location data. After the fiasco that was the original launch of Apple Maps, it seems the company is doing everything it can to mature the service. Apple kicked Google Maps to the curb with its own mapping service during the iOS 6 announcement at WWDC in June 2012. Shortly after the acquisition, Apple introduced iBeacon in iOS 7, an indoor positioning system that is already in use by retailers like Macy’s to track a user’s location. In July 2013, Apple bought Locationary, a startup that was like Wikipedia for local business listings. The service used crowdsourced information to maintain a database of locations around the world. Apple also brought on talent from another company called BroadMap that specialized in managing and analyzing mapping data. This year Apple filed a patent that details crowdsourced data gathering for mapping info like road conditions and traffic. Apple also bought two transit apps this year, HopStop and Embark. The ability to offer transit directions is one of the most glaring omissions in Apple Maps, and users are currently prompted to check out third-party alternatives in the App Store. It looks like Apple wants to change that in the near future. Four of Apple’s 2013 acquisitions fall under the umbrella of smart data, or companies that were using software to do something unique. Matcha’s iPad app is no longer available now that Apple bought it. 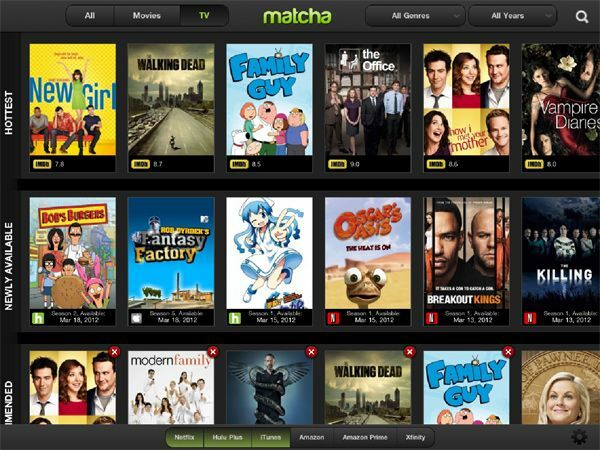 In August, news broke that Apple had bought Matcha.tv, a second-screen TV startup. Given all of the rumors surrounding Apple’s future TV plans, the reason was immediately obvious. Matcha’s popular iOS app pulled in data from multiple services like Comcast, iTunes, Netflix, Amazon Prime, and Hulu to give a comprehensive overview of what was available to watch. According to TechCrunch, the real reason Apple bought Matcha was for its proprietary algorithm that delivered video recommendations to users, which was reportedly smarter than how Netflix recommends titles. When Apple bought Cue in October, the reason was more obvious than Matcha. Cue was one of the first Siri-like smart assistants. It worked similarly to Google Now in that it could scan the user’s email inbox and offer relevant info, like a flight itinerary. “This is a great acquisition for Apple. It won’t give them anything they couldn’t have built themselves, but it will give it to them sooner,” wrote Cult of Mac columnist Mike Elgan after the news broke. Cue’s iPhone app could automatically break down a day into a smart planner, which is similar to what Apple is trying to do with the “Today” view in iOS 7’s Notification Center. In December, Apple bought Topsy, a social analytics firm that had access to Twitter’s entire firehose of tweets in real time. While many theories have been posited, the best guess as to why Apple scooped up Tospy is that it wanted access to its data analysis expertise. Leveraging activity on social networks like Twitter and Facebook could enhance things like Siri and searching in the App Store. Lastly, it also was reported in December that Apple had bought Catch, a popular note-taking app that was seen as a competitor to Evernote. The app let users sort notes with different media types beyond text, like audio and video. Apple has been deeply invested in its own chip design since it debuted the A series processor in the iPhone. All eyes are on mobile advancements in the chip industry, and phones and tablets are become so powerful that could soon rival their desktop computer counterparts. Three chip-related companies were bought by Apple in 2013. The first was Passif Semiconductor, a company that specialized in low-energy wireless radios that could communicate with Bluetooth LE (low energy). The tech is ideal for smaller health and fitness devices that require long battery life. Apple is rumored to be working on a watch-like wearable for release in 2014. In November Apple bought AlgoTrim, a Swedish-based company that didn’t make chips, but dealt with compressing data and maximizing graphics performance while minimizing flash memory usage. The most expensive acquisition of the year for Apple was PrimeSense for $345 million. Apple had been courting the Israeli company on and off for at least three years. PrimeSense is most known for being the brains behind the original Xbox Kinect motion sensor. Apple has patents related to 3D imaging and motion tracking with a display. While many immediately jumped to the theory that PrimeSense’s 3D-motion tracking chips could be used in a future Apple TV, there’s actually more potential on mobile. During the time leading up the Apple buyout, PrimeSense had been showing off Capri, the smallest 3D sensor in the world that is designed for smartphones and tablets. 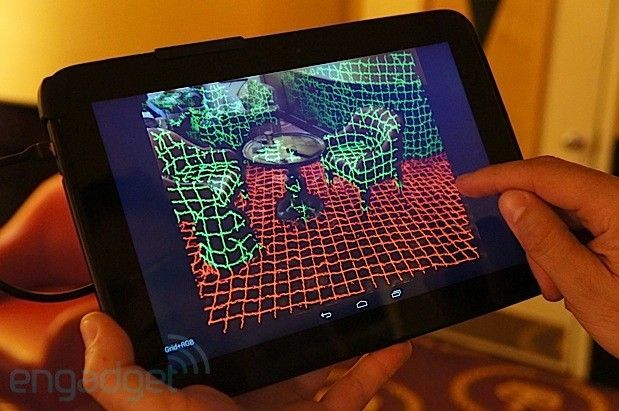 Capri was demoed on a Google Nexus in May 2013, and it wasn’t used for gesturing to the tablet like Tom Cruise in Minority Report. “Capri snapped a three-dimension shot of an object on the table in front of us, captured its measurements and let us export that image to another device or even a 3D printer,” said Engadget during the hands-on. The potential for our mobile devices to interact with our physical surroundings is relatively untapped, and the pioneer of 3D-sensing on mobile now belongs to Apple. 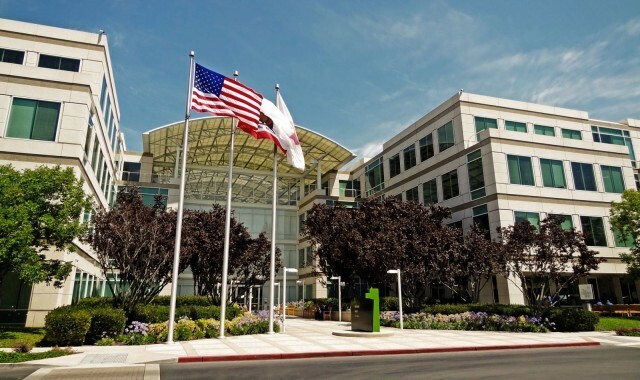 Apple made two acquisitions in 2011, four in 2012, and 15 in 2013. At this rate, Apple will buy up 30+ companies in 2014. After looking back at what companies Apple bought in 2013, expect Apple Maps to get more advanced. Apple is hard at work on maturing its own silicon, and 3D sensors are becoming a key area of focus for just about every consumer tech company. Apple is at the stage where it has the resources and talent to explore just about anything it wants. Internally, it seems like its sights are set on the future of wearables. Tim Cook has told us to expect entirely new product categories in 2014, so it should be an exciting year.